This one-through boiler with PI control better manages the combustion and feed waster supply, which contribute to increased boiler efficiency and stable steam supply. 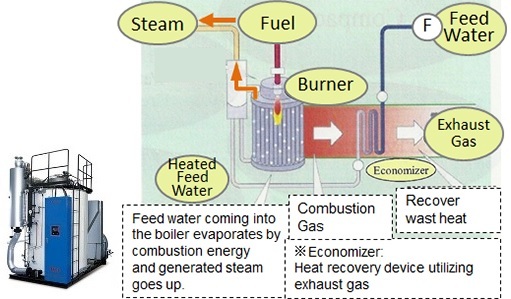 For instance, it can achieve maximum boiler efficiency of 98% (95-97% under practical condition), whereas the efficiency of conventional fire tube boiler and water tube boiler is around 88%. Also, built-in inverters can reduce electricity consumptions.